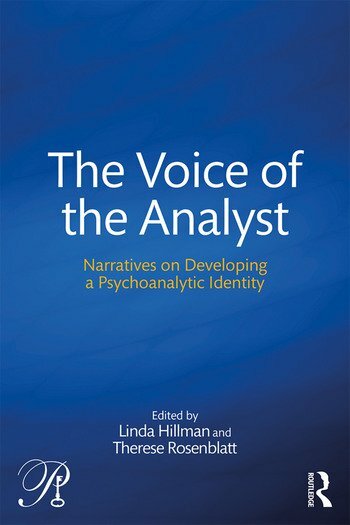 The Voice of the Analyst contains personal narratives by twelve psychoanalysts, each taking the reader through his or her unique path toward developing a voice and identity as an analyst. All come from different backgrounds, theoretical orientations and stages of their careers. The narratives are courageous and uncommonly revealing in a profession that demands so much reserve and anonymity from its practitioners. This book demonstrates that the analyst’s work is a product of their characters as well as training and theory. The narrative form in this book offers a refreshing and necessary companion to the theoretical and clinical writing that dominates the field. The editors show the importance of developing a unique voice and identity if one is to function well as an analyst. This endeavor cannot be accomplished solely through technical training, especially with the isolation that characterizes clinical practice. There are pressures that analysts experience alone in their practice, from patients and themselves as well as other professionals, forces that render technical training and theory alone inadequate in facilitating the development of one’s analytic voice and identity. Enter the form of the personal narrative presented in this book. This fascinating compilation of narratives shows how the contributors bear striking similarities and differences to one another. Despite their different backgrounds, they display commonality in their sensitivity towards mental and emotional states and their wish to heal suffering. However, they also exemplify wide differences in motivations, interests and what makes them tick as psychoanalysts. The Voice of the Analyst will be a great companion book for established psychoanalysts and psychoanalytic psychotherapists and those in training, as well as mental health professionals keen to understand what it takes to become a psychoanalyst and to enhance their personal and professional development. Linda Hillman, PhD, practices as a psychologist and psychoanalyst in New York City and Westchester County. She treats adults, adolescents, children, and couples. She is a Clinical Supervisor for the City University of New York, and a member of the New York University Postdoctoral Program in Psychoanalysis and Psychotherapy. She has published on the psychological implications of teaching writing as well as co-authored several papers on group relations. She is also a published poet and has played leadership roles in a number of volunteer community organizations focused on youth, mental health, and education. Therese Rosenblatt, PhD, is a psychologist and psychoanalyst in private practice in New York City and Westchester County, New York. She treats adults, children, adolescents, couples and families. She leads parenting groups privately and at the Early Childhood Development Center in New York City. She is on the faculty of the Metropolitan Institute for Training in Psychoanalytic Psychotherapy. She is Adjunct Clinical Supervisor at Yeshiva University and Pace University in New York and an active member of the New York University Postdoctoral Program in Psychoanalysis and Psychotherapy. "Among the most significant shifts in the recent history of psychoanalysis is the recognition that it is a personal, subjective, and intersubjective endeavor rather than an objective instrument applied with technical rationality by a neutral expert. This emphasis on the therapist’s character and subjectivity has significant implications for psychoanalytic education and for the ongoing development of the analyst. In this inspired collection, Linda Hillman and Therese Rosenblatt have brought together a variety of clinicians whose rich and diverse narratives reflect on their personal development as analysts. The Voice of the Analyst will be of interest to all of us who love psychoanalysis and are concerned with the formation of analytic identity, and it will be essential reading for those pursuing, providing, or considering psychoanalytic training as a lifelong form of continuing professional education and personal growth. "-Lewis Aron, Ph.D., Director, New York University Postdoctoral Program in Psychotherapy & Psychoanalysis.